Driving on roads like this can be tricky: that’s why you need our holiday driving trips for students. Plan for unexpected traffic. As people get busy with holiday shopping, gift-buying, and travelling, the roads get busy too. Give yourself a little extra time to go places so that atypical traffic jams don’t ruin your holiday spirit. Watch out for road rage. Not everyone will plan ahead for the extra congestion. If you encounter stressed-out drivers on the road with you, understand that they are probably just overwhelmed by the strain of the season. Your best response in the situation is to leave them plenty of space and be as polite as possible. It also would not hurt to brush up on your defensive driving techniques . Be ready for the weather. If you are dreaming of a white Christmas, be ready to take extra precautions for driving in the snow . 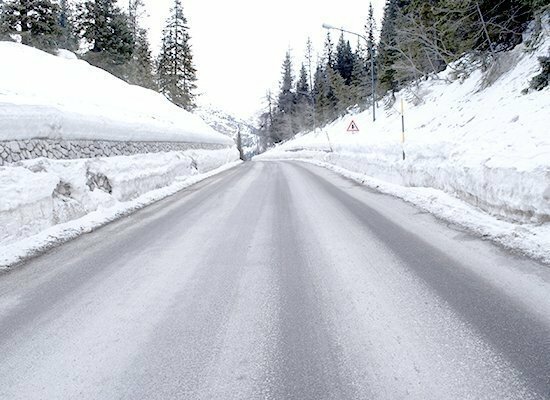 Remember that slush reduces the traction of your tires on the road, so avoid fast turns and quick stops. Don’t drive on New Year’s Eve. As the 31st approaches, make sure you have a plan for your transportation that night. New Year’s Eve is one of the worst nights of the year for accidents caused by drunk driving. If you can avoid driving after midnight, do. If you must drive, watch out for drunk drivers. You can spot them if you notice drivers swerving, braking erratically, not using their headlights, or even driving way below the speed limit. Your plan of action here should be to create distance between you and the driver. Then, when it is safe, pull over to call 911. You might end up saving someone’s life—and that’s a not a bad way to start off the New Year.